Mohamed is a Right Track intern at the Institute on the Environment, where he supports the development of a new Food Matters report focused on the role of livestock and food security. He graduated from Como Park Senior High School, and will attend Saint Paul College with a major in computer science. 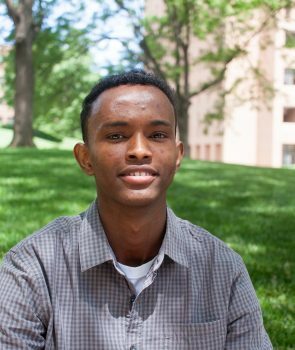 In his free he likes to assist his former Dugsi Qur’an teacher, volunteer at the UMN Cornercopia Student Farm, play and watch soccer and basketball, and to spend time with his family.